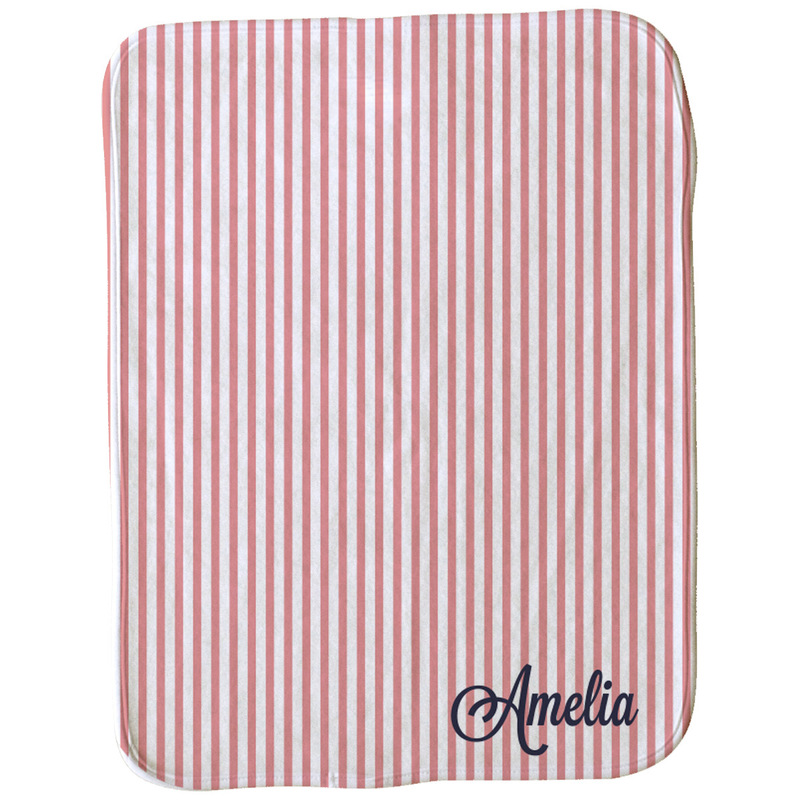 This classic striped burp cloth is the perfect daily addition to your child's burp cloth collection! Personalize with your baby's name in a whimsical cursive font and change the stripe colors to fit your taste. Made of a super soft fleece that is gentle on baby's skin and machine washable, your burp cloth will be sure to withstand the test of time. At approximately 12" x 16", it'll be sure to protect you from any upset tummies. Our products are made in the USA and most orders ship next business day so order today!